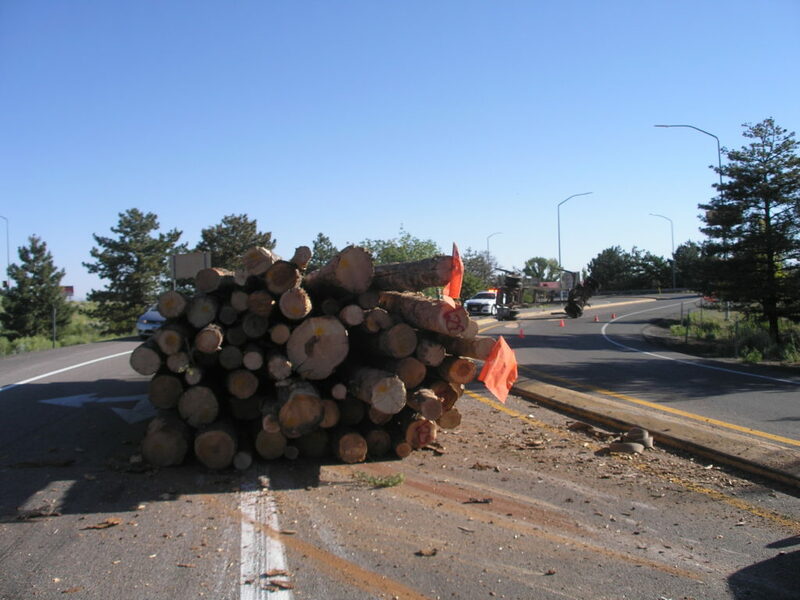 CEDAR CITY — A load of logs on their way to Parowan broke free from the semi-trailer hauling them early Friday morning landing in the middle of the on and off ramps to Interstate 15 at Exit 59 in Cedar City. 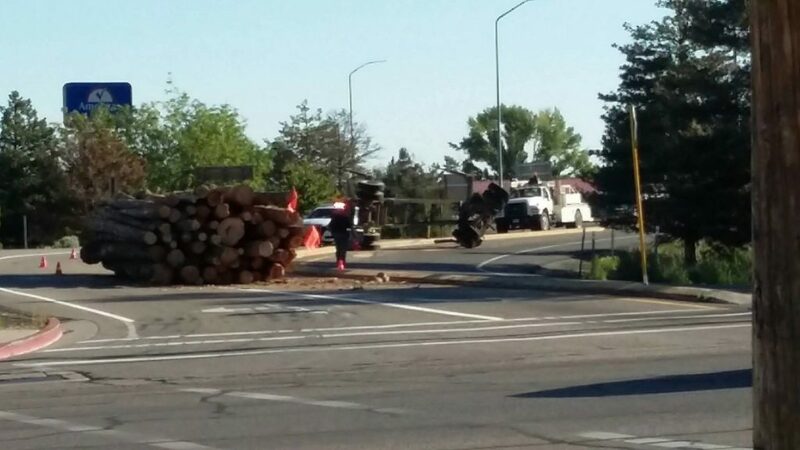 The incident occurred at about 8:23 a.m. when a metal sidebar failed as the rig was turning to enter the Interstate, Utah Highway Patrol Trooper Brian Bairett said. 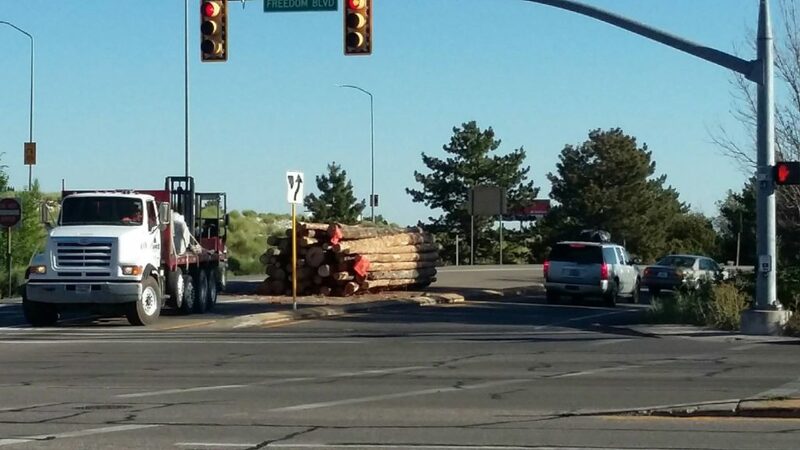 It was the rear load that failed. 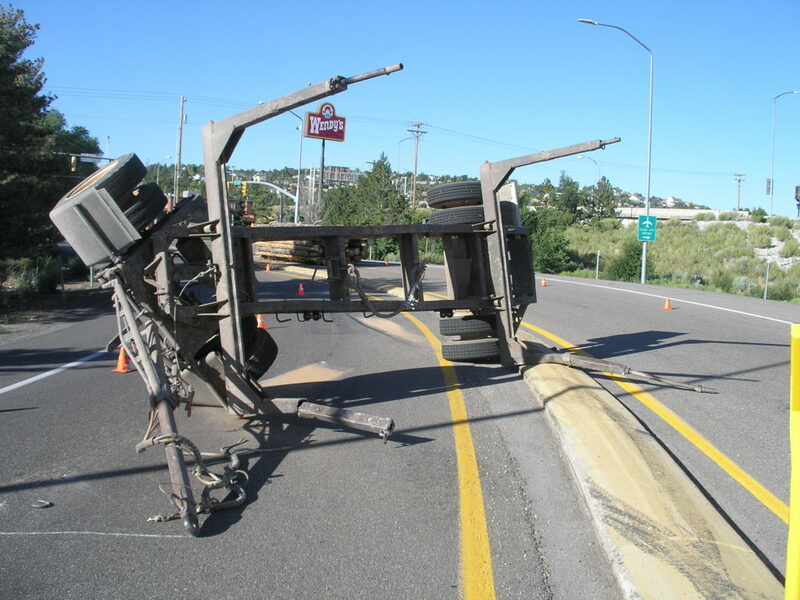 The motion of the turn combined with weight of the load dropping, caused the rear trailer to flip on its side, partially blocking the northbound on and off ramps. 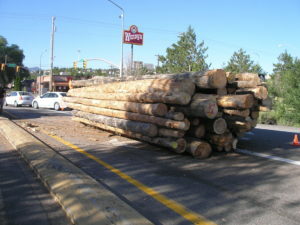 The driver pulled the first trailer that remained attached to the rig away from the scene and parked it where it would not block traffic.